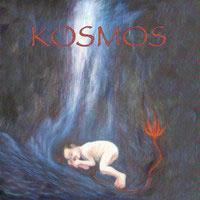 The latest disc from the Finnish band Kosmos, I like this one a lot. It’s not hugely different from their previous one I reviewed, but it’s just plain good. Just as it’s not exceptionally different from its predecessor, it’s also not better or worse. I recommend it to fans of the band, and fans of folky, melodic progressive rock in general. The lyrics are in Finnish, but you really don’t need to understand the language to appreciate this disc. This is a pretty balladic cut as it opens. The vocals are gentle. It has flashes of darker, more dramatic stuff in terms of some keyboard textures. The piece works toward more powered up melodic folk prog as it continues. The lush keyboard textures bring so much style and charm to it. This is a great way to start things in style. More acoustic based and folky than the previous track, this is quite pretty. I can see comparisons to both Renaissance and Jethro Tull. Wow, this is a great track. It begins in a gentle folky sort of motif, but grows out with some major refinements and layers put over the top. It’s beautiful and poignant in texture. Classical music meets world/folk in a later musical excursion that features violin. Another that’s considerably folky, there are some great musical elements to this track. There’s just not any mediocre music here – as each successive number proves. This is the sole track where I would really say it’s probably more folk than progressive rock. The others all have some folk in the midst, but it’s the predominate factor here. That said, it still has its proggier moments and in all honesty prog and folk go way back – just look at The Strawbs. The first portion of this track doesn’t differ a lot from the rest of the music here. After a time, though, they power this out into an electrified and powerful progressive rock journey. The comparisons to Renaissance are again appropriate. This is one of the highlights of the set – and as strong as the whole album is, that says a lot. As they carry on this turns into the direction of powerful space rock. In a great bit of completeness the track returns to its roots for another run before it ends. This is a three part mini-epic that weighs in for a total in excess of eleven minutes. 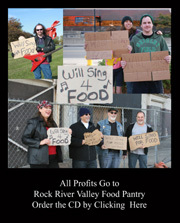 It starts with space elements and the first male vocals of the disc (spoken ones) join the call. As it shifts into the second movement it becomes more powerful and dramatic. A rather Hawkwind-like space rock sound begins to drive it and the female vocals enter. It becomes quite a strong space rock jam as the instrumental section kicks in. This movement of the piece represents the bulk of the composition, weighing in over seven minutes by itself. It does, however, include a drop down to classical instrumentations and stylings mid track as a nice contrast. The classical instruments power up and signal a return to the hard rocking space music. Violin continues in a driving pattern as this is steadily built up. Through some variants this mode carries the track to the closing movement. Mellow, spacey elements make up that closing section. This is basically a reprise of the opening movement – complete with the spoken vocals.